In the 1960s, Cambodia was hit by several waves of cultural influence that primed the country for a creative renaissance. 1960 to 1975 is known as the ‘golden era’ of Khmer music. The years of French rule over Cambodia left imported records of French folk and Yé-Yé easily accessible. Imported Afro-Cuban records coupled with the instrumentation of Filipino marching bands broadened the palette of instrumentation available to Cambodia. Trombones, clarinets and latin auxiliary percussion became exciting options to Cambodian musicians. The American invasion of Vietnam next door led to Cambodian youth tuning into GI radio signals, and exposure to American and British rock and roll inspired a wave of musical pioneers merging these new ideas with traditional Cambodian culture. Of course, the socio-political climate has to align just right to allow such a movement to exist. Head of State Norodom Sihanouk, a musician and filmmaker himself, worked to establish Cambodia as a modern cultural force to the world. He encouraged and sponsored music, film and the arts, making the capital of Phnom Penh a fertile ground for creative innovation. A drive through Phnom Penh in 1965, set to ‘Chak Chouch Chak Chouch’ by Sinn Sisamouth. Although Cambodia had managed to stay neutral during the Vietnam War, a civil war broke out in 1970. Citizens were fed up with the violent side effects of the war next door, and no longer saw the country’s neutrality as an option. Norodom Sihanouk was ousted from power, and Prime Minister Lon Nol took control, establishing the Khmer Republic. With Lon Nol in control, and U.S. military support, the Khmer Republic began to fight back against invading troops from North Vietnam. Sihanouk fled to China and formulated a plan to regain power. He returned and subsequently formed a partnership with the Cambodian militant communist faction known as the Khmer Rouge. In exchange for his support, the Khmer Rouge promised Sihanouk his reign over Cambodia once again — but the group had other plans in the works, kept secret from the former leader. Many Cambodians came out in support of the Khmer Rouge after the partnership had formed, simply as a way to get Sihanouk back in power. The Khmer Rouge used this as a bait-and-switch to put their true leader, Pol Pot, in control when the timing was right. Pol Pot’s regime took control of the capital, Phnom Penh, in 1975, and instituted “Year Zero.” This was their term for committing mass genocide in the name of cultural cleansing, killing an approximate 2 million people — 25% of the Cambodian population — for any Western influence or admiration. Musicians, artists and intellectuals were targeted first, separated, tortured and murdered. Records, books and films from Western countries were burned and destroyed. The new government ordered all citizens to evacuate the city of Phnom Penh, under the guise of protection from U.S. bombing raids. Those who survived were sent to labor camps and effectively used as slaves. The Khmer Rouge envisioned an economic renaissance centered around agriculture, and destroyed anything representing or supporting an urbanized, modern Cambodia. 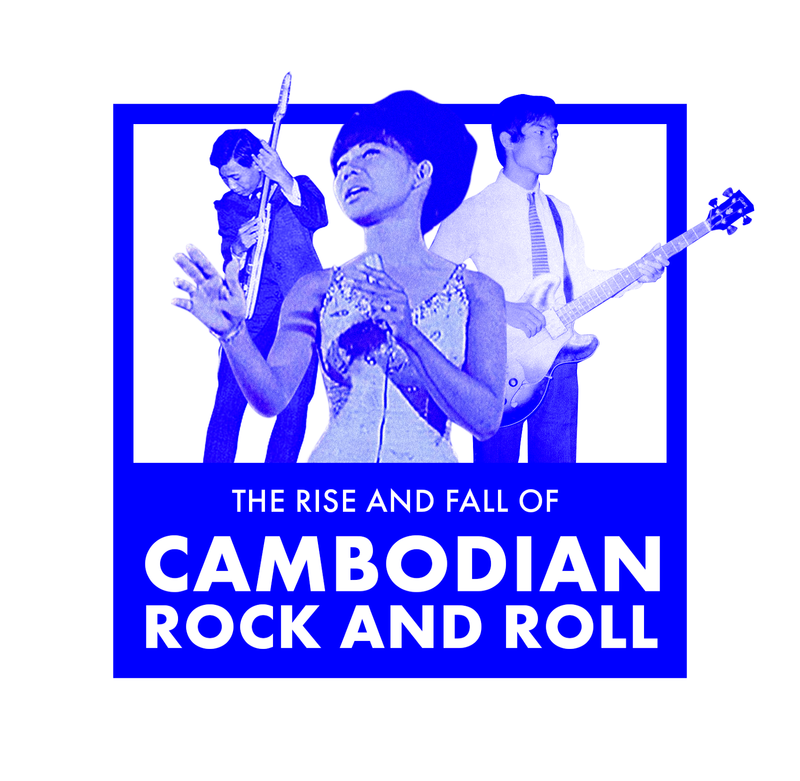 This isn’t meant to be a comprehensive history of the era, but instead a simple and organized introduction to some of the key players and moments of Cambodian rock and roll. Information on the artists is scarce and hard to find, but hopefully this article will inspire deeper dives into this fascinating era in modern music. When Mol Kagnol first heard surf rock, it changed his perspective on music. He rushed to his older brother’s electronics shop and created a Vox-inspired guitar to play. Kagnol eagerly teamed up with his brother Mol Kamach to form a new guitar-led band — the first of its kind in the country. Kagnol, acting as lead guitarist, was nicknamed ‘Uncle Solo’ at age 14 for his powerful lead riffs. Kamach, the singer, contributed his delicate and nuanced vocals in both Khmer and French. Their cousin Mol Samol joined in on the bass guitar, family friend Samley Hong on second guitar, and the group fervently studied the techniques and choreography of The Shadows in the 1961 British film The Young Ones. In 1963, their song Pleine Lune (Full Moon) became a hit, particularly with Cambodian youth, and introduced the idea of a guitar-led rock and roll band to the flourishing culture of 60’s Phnom Penh. Kamach, Kagnol and Samley survived the Khmer Rouge regime, and still perform live together as Baksey Cham Krong to this day. Two singles from the band, released in 1963 and 1964, have been reissued on vinyl by the French label Akuphone. The reissues feature identical packaging, liner notes and inserts to the original releases, and royalties are properly distributed to the Mol brothers. While Baksey Cham Krong had brought the electric guitar to Cambodian music, they wouldn’t dare to cover a rock and roll song. To play a Western sound with Khmer lyrics was a delicate matter, offensive to Cambodian elders who stress the importance of traditional Khmer culture. Chum Kem, a young Cambodian student, was studying ceramics in Italy when he entered a singing contest. He won, and started a music career in Italy, releasing several 7" singles of Italian songs. While in Italy, he heard Chubby Checker’s “The Twist” and promptly wrote his Khmer adaptation of the song upon returning home. With the support of Sihanouk, “Kampuchea Twist” was the first Cambodian adaptation of an American song to air on the National Radio. It was a hit, and the kids of Cambodia embraced it and the new style of dance that came with it. Chum Ken opened the doors for a new wave of cultural experimentation within Cambodian music. Often called the ‘King of Khmer music,’ Sinn Sisamouth was the biggest star of Cambodia. Sisamouth originally came to Phnom Penh to attend medical school in 1950. After class, he would stay home and study the structure and melody of well-known songs while practicing his singing technique. Slowly and methodically, he began to compose his own songs and perform in public. When Cambodia was granted independence from France in 1953, Sisamouth was asked to join the National Radio as an in-house regular singer on their daily program. He started his recording career with a much more traditional sound. However, as young musicians in Phnom Penh began to embrace and experiment with modern rock concepts, he approached these new ideas with an open mind. Sinn embraced the sounds of R&B, latin jazz, psychedelic rock, and playfully merged them with the traditional Khmer musical stylings and vocal techniques. It was Sisamouth’s graceful combination of the old and the new that led the golden era of Cambodian music. He was a meticulous and methodical songwriter — first exploring different rhythms on the mandolin to start a song, then wrapping lyrics around that idea. He was known to write fluidly between three languages — Khmer, Sanskrit and Pali — in order to find the perfect words to convey the right intention and feeling of the song. Sisamouth was allegedly murdered in one of the many prison camps instituted by Pol Pot’s regime in 1975. The details of his fate remain unclear, although many stories of his final moments have been passed down through the years. His class, charm, kindness and grace were well known, and he was respected and beloved across the country. He is confirmed to have written over 1000 songs for himself and others, and remains a household name to this day. After decades, Sinn’s wife and son were awarded copyright for 73 of his songs in late 2014. They are working on locating further proof of ownership for the rest of his songs. Ros Sothea grew up in the rural province of Battambang singing with her brother while they planted rice in the fields. The rest of the villagers loved her voice and encouraged her to enter a local singing competition. She won first place at 15 and was invited to join a local band. Four years later, she was invited to become a singer at the National Radio, where she would begin to sing with Sinn Sisamouth. Sothea and her brother Serey had always dreamt of being a successful singing duo together, so in honor of him, she changed her name to incorporate his at the start of her recording career. Her songs were often led by the driving, distorted pairing of electric guitar and organ, and the lyrics often express longing, sorrow and heartbreak. Her career was flourishing and she had a consistent stream of hit singles. As she began touring, she fell in love with the singer Sos Mat. They quickly married. As her career began to eclipse his, Sos Mat became jealous and abusive. At one point, Sothea was heckled flirtatiously by a drunk in the crowd during one of her many romantic songs. During intermission, Sos Mat beat her, blaming her for the remarks of the men in the crowd. Sothea returned to the stage with a split lip and finished her set for the evening. Shortly after, she divorced Sos Mat and fled home to join her family back in Battambang, abandoning her singing career. Sinn Sisamouth tracked Ros back to her village and convinced her to continue making music, vowing to keep her safe. The two began to sing duets together and became a staple of Cambodian pop music. Ros Serey Sothea was another tragic casualty to the Khmer Rouge’s terror in the late seventies. Her sister, Ros Soboeun, has actively worked to reunite surviving Cambodian musicians from the golden era with each other for the last four decades in honor of Sothea. Pen Ran (often written as Pan Ron) was the rebellious, flirtatious, more playful alternative to the grace of Ros Serey Sothea. The two both came from the same school in Battambang, but approached their music with contrasting mindsets. Pen Ran was known for her powerful, soulful voice and dynamic stage presence. Traditionally, singers like Sisamouth, Kamach and Sothea would stand fairly stationary, gesturing occasionally. Pen Ran bobbed, danced, posed and interacted with the crowd. Her music was wild, uptempo rock, and her live shows were parties in rowdy nightclubs. Pen’s lyrics were subversive challenges to the idea of the conventional Khmer woman. Her songs mocked the expectations of women marrying young, dowries and embraced sexual freedom. Sadly, she was never heard from again once Pol Pot took control. Huoy Meas was the host and announcer for the Cambodian national radio. In addition to hosting, she had a successful singing career of her own, often lending her soft, delicate voice to melancholy songs. Sadly, she was captured and killed by Khmer Rouge on her way to safety in Battambang. Meas Samon was Cambodia’s first comedy singer. His songs were centered around silly characters in absurd situations, and he adopted a Chaplin-esque look and adopted a cartoonish style on his album covers. He was killed at the Khmer Rouge’s work camps for playing a song on an instrument he found in the fields. So Savoeun would often duet with Meas Samon, and was known particularly for Saravan — a style of music associated with a dance originating in Laos that’s quicker than most Cambodian dances. She survived the genocide and now lives in France with her husband, where she still performs regularly. Poev Vannary was the first woman to play guitar on a Cambodian stage. In the early 1970s she adapted and covered countless American songs, after falling in love with American folk music while studying in the US. Vannary was particularly known for her skill in blending Khmer lyrics with English lyrics in the same song. Sadly, only 25 recordings of her material have been found. Here’s a great compilation album of 21 of those songs. Yol Aularong was a rebellious rocker whose songs mocked the societal norms of the era. Not much is known about him, but he’s been a common favorite from recent compilations and reissues for his forward-thinking, ‘proto-punk’ guitar technique. Drakkar (sometimes credited as Thra Kha Band) was a five-piece band that released their adventurous, bold psych-rock album in 1974, one year before the Cambodian genocide. They sported long hair, ‘hippie’ clothing and their drummer often caused controversy by playing shirtless. Hong Kong-based label Metal Postcard Records worked with the band founder Touch Tana to remaster and rerelease their album in 2014. Drakkar is an indication of the heavier, bolder direction Khmer music would have taken had it not been for the rise of the Khmer Rouge. While Khmer Rouge destroyed most copies of records from the golden era, a few copies had survived — as souvenirs kept by tourists in other countries, or protected by Cambodian citizens who kept a hidden safeguard of their favorite music in basements or hidden rooms. Copyright law was nonexistent in Cambodia until 2003. In the time between the fall of Khmer Rouge and the first copyright law, an entire market of bootleg recordings emerged. They are distributed on CD and cassette, and are often low quality and overdubbed with ill-fitting drum machines and synthesizers. These have been the copies of the songs that have spread for the last 30 years, and the original unaltered copies have been difficult to track down. Oum Rotanak Oudom, born and raised in Phnom Penh, started the Cambodian Vintage Music Archive. He has spent the past several years tracking down the best-preserved copies of songs and creating high-quality digital transfers from collectors and preservationists around the world. He has also begun assisting the surviving family members in attaining copyright protection on songs by tracking down, documenting and submitting the necessary proof of composition and ownership. He posts high-quality and rarely heard recordings of these songs on the archive’s YouTube, Instagram and SoundCloud. Cambodian rock and roll made its way to America in the 90s with a bootleg compilation called Cambodia Rocks. Compiled by a tourist who bought several cassettes on his travels, the compilation had no track listing or artist credit on any of the songs, but it spread rapidly. Fans on the internet sought out information and assembled the proper credits for the 22 songs on their own. Many other compilations of Cambodian rock have been released on Rough Guides, Sublime Frequencies, Pebbles, El Suprimo, Diamond Records and other Western compilation/reissue labels, each with varying quality of recordings and credit. El Suprimo’s collaborative release with Defective Records is worth noting due to all proceeds going to the UN’s Cambodian relief fund within the Adopt-A-Minefield program. I’ve made a Spotify playlist of the bulk of unaltered, original recordings of Cambodian rock I could find on the platform. It should be a pretty good introduction to the era, but I encourage you to go beyond Spotify and seek out the collections of the Cambodian Vintage Music Archive and other preservationists, engage with any local Cambodian communities or cultural centers in your area and do what you can to help others enjoy the beautiful music of this era.